Like it or not, bugs or “pet peeves” invade our space. They bite us, they swarm us, they annoy us. But sometimes, like a firefly, they illuminate a situation. We can pretend bugs don’t exist, or we can let them control our behavior, or we can use them to shed light on a root cause and better a situation. Many entrepreneurs or problem solvers rely on the latter. An objective perspective allows society to understand the complexities of bugs and to see them as a necessary part of life, with a function. Identifying the root causes of something that bothers us can help educate society and eliminate stereotypes. This semester, my entrepreneurship professor challenged us to list 20 of our personal “bugs,” which is harder than you think, especially when the list turned into a discussion of “why would they impact me so much?” In truth, I found it easier to address why the bugs triggered my emotions. However, if I can set aside my affected emotions, addressing them will spawn thoughtful conversations with other people. Read my bugs and comment. 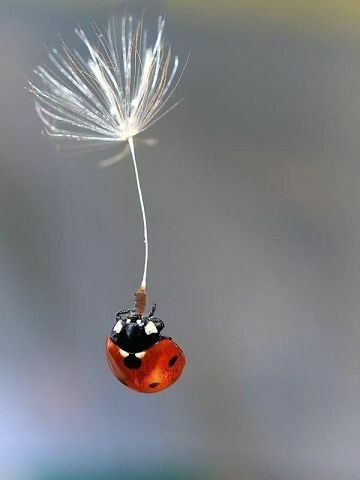 Do you have “bugs!” Can they be helpful? Did you learn anything new? 1. When people say I’m a “good driver” like it is a surprise to them. WHY it exists: People are not driving powerchairs normally so they automatically assume I am. But they really don’t have anything to compare my wheelchair driving skills to. They are amazed at my skills. 2. When I have just met someone and they won’t talk to me directly, they look at my assistant instead. WHY it exists: They assume that I am not able to communicate my own thoughts but rather rely on my assistant to speak for me. Is this because I’m in a wheelchair? WHY it exists: Based on upbringing or biases, I understand that people will eventually need to learn about situations that are unfamiliar to them. , But if they are aware and astute, I hope that that they will not be ignorant and instead have an open mind, and help to change others’ perspectives. 4. When parents let their kids walk up to me and say “ why can’t you walk?” without taking the time to make sure their child is taught about disabilities. WHY it exists: Parents may not realize the importance of educating their kid due to lack of experience with disabilities themselves. 5. When people automatically jump in and say “let me help you with that” instead of asking. 6. When people finish my sentences for me instead of allowing me to finish my train of thought. WHY it exists: Since I have a speech disorder, they are afraid to get it wrong so they do this as a safeguard, or they are impatient. 7. When I am driving down the sidewalk on campus, or really anywhere in my power wheelchair, people don’t look where they are walking, so I adjust my line and they still move/hop/leap right in front of me and bump into my chair. WHY it exists: They are on their phones or they are ignorant of how to act around a wheelchair. 8. When people either park in a disability spot or in front of a rampway, which makes me have to go around and find a new access point. Even happens in front of Cypress. WHY it exists: It is convenient for them to park and unload really quick, however, they are preventing access for other people. 9. Wheelchair seating for students at UF sporting events are separate from the designated student section where we can sit with friends. WHY it exists: The physical structure of the building is not universally designed to be inclusive or UF had not valued placing the wheelchair seating with the other students. 10. When non chair users without a physical disability sit in the disability student section taking up room for chairs and companions. WHY it exists: Lack of courtesy. Lack of monitoring by staff. Entitlement. 11. When event coordinators are not considerate of where to place an ADA seating for example gator growls disability seating was placed with the portable toilets. WHY it exists: Event coordinators may think it’s convenient and easier for us to get out, but in reality, its unpleasant for the customers. They are untrained. 12. When stores, especially in malls, organize the racks of merchandise so close together that it’s nearly impossible for wheelchair users to browse comfortably. WHY it exists: This exists because stores are trying to maximize floor space for profitability- it also requires staff to keep it organized. 13. Sometimes when people have physical limitations, they must sacrifice cute attire for limited styling and ease of dressing. WHY it exists: There is a market limitation for attractive and accessible clothing. It’s a new concept just emerging in the fashion world. 14. When a bathroom claims to be accessible but I can’t get my chair through the door or there isn’t enough space to park my chair while using the restroom. 15. 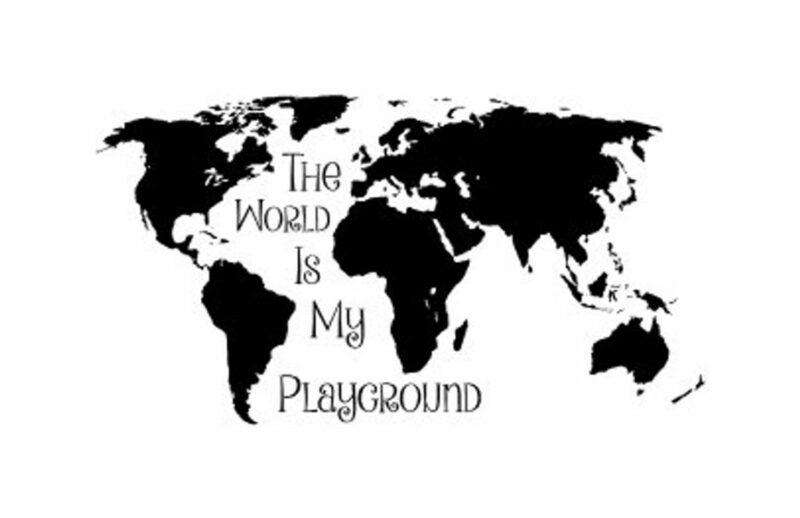 How difficult it is to plan a study abroad trip for those who need special accommodations. WHY it exists: There aren’t as many students with special accommodations compared to the student body as a whole. Lack of accommodations and transportation options.Before now, there wasn’t as high of a demand. But it’s changing. 16. It’s difficult for someone with a visible disabilities to get an interview, internship or a job in the marketplace. 17. When someone is overly clingy/hovering over me. WHY it exists: Some people have no concept of personal space. 18. When people don’t zip up a bag and then get mad when stuff fałls out. WHY it exists: They are distracted by the world around them and make it harder for themselves by forgetting to complete simple tasks. Or they’re lazy. 19. When two buddies at the gym take turns numerous times on the same machine which causes me to wait forever. WHY it exists: When you are around friends, they have no sense of time. Or lack of common courtesy. WHY it exists: They are under confident, feel marginalized, and choose to see the negative side in things. 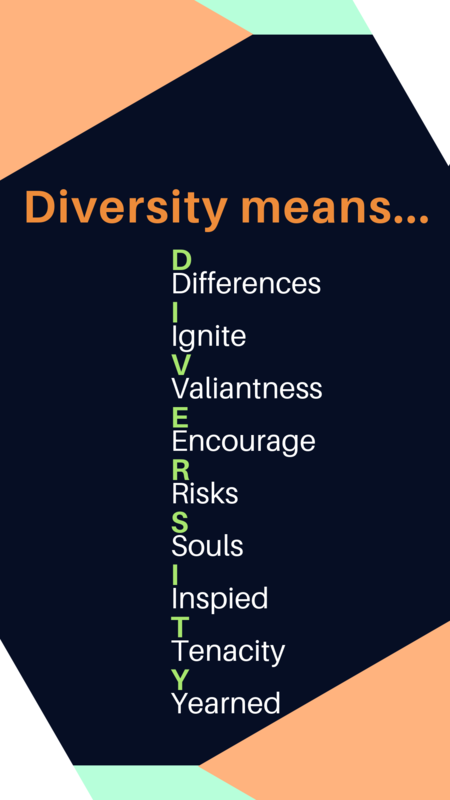 Diversity is the celebration of disparate colors, identities, abilities and much, much more. One of the compelling reasons why I chose the University of Florida was its commitment to diversity and inclusion; however, I quickly realized the college was still in its adolescence in its initiative of inclusive excellence. So, when I heard the announcement that UF hired its first Chief of Diversity, I was thrilled — and even more excited to have the opportunity to speak with Antonio one-on-one before class recently. From his demeanor, I could sense that Antonio was a great listener who prioritized care and open mindedness, hallmarks of a leader in higher education in America. As the conversation /ensued, I was able to share some specific implementations on improving communication between various departments and students of all abilities. Antonio was different than any other faculty member I have broached about improving he Gator Nation. He genuinely wants to make UF better for the students, not just for the glossy look on paper or online. He is going to do great things during his time here! I appreciate Antonio’s unique perspective on diversity. For instance, I talk about diversity and inclusion on a daily basis but he made me stop and think about a truer meaning. He completely changed my thought process on the matter: diversity does not fix anything; it provides an environment for a common cause! Everyone has their own story of origin, of how they arrived at UF, he explained. But how they use those experiences will serve as the fuel to ignite a positive change together. Change takes a coordinated effort from all parties involved and support from each other to achieve the end goal. We live in an age where different generations think their way is tantamount but don’t always listen to other perspectives. If we can encourage groundbreaking innovations, we have the ability to create something resilient. We need to push the boundaries and test the strength of inclusion, safety nets, and equity. College campuses are especially in need of a resilient system that gives and takes, listens and responds. At the end of the day, everyone matures at their own pace, but the empowerment to embrace change is constant. It is a fine balance between constantly taking risks and living in the moment. Diversity goes deeper than equality. It’s complex storytelling where individuals can – and should – use their experiences for a common vision. My voice was emboldened here, and now there’s no holding back my passion to make a difference. I learned that a team is greater than one. I learned that if you surround yourself with people who have similar passions, fear becomes the fuel for breaking boundaries. I learned that fearless is for me. Is it for you, too? ​On June 8th at noon, my mom, sister and I made our way from our contemporary hotel in Lower Manhattan to the extravagant Cipriani Club at 25 Broadway in the Financial district, directly across from the Wall Street Bull landmark. (And the defiant Young Girl statue, too!) As I weaved through the masses on the streets, I spotted Debbie (Mindy’s assistant) waving us down from the steps of Cipriani, with its neo-Italian Renaissance architecture — tall columns and detailed etchings in the stone with gold trimming. In reality, it had been the home of a very famous cruise line, Cunard, back over 100 years ago, when NYC was the busiest port in the world. ​I maneuvered through the sea of unassembled gift bags and entered the main room…. breathtaking– beautiful steel gate dividers, fabulous murals, and elegant drapery brushing the 65 foot tall painted dome ceilings The atmosphere was calm and quiet — but not for long! 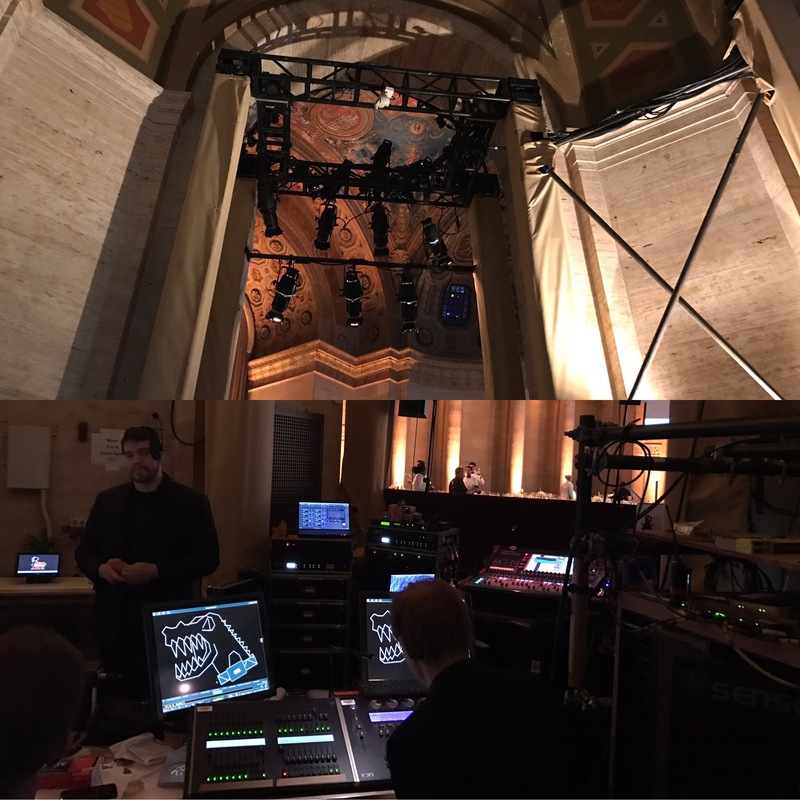 Within a hour there were tech people hoisting lighting, audio crews arranging mics and speakers in the voluminous room, waiters arranging tables and glassware for 600, and all of the models showing up for fittings. This was THE REAL DEAL!!!! ​Debbie walked us down an adjacent hallway past the sound and lightning control booth to the very back where guys were in the process of putting up makeshift dressing rooms. For the rest of the day, this room would become the beehive for families, models, make-up artists and seamstresses. Just outside it, clothing racks lined the halls, filled with the new Tommy Hilfiger adaptive collection. It was fascinating to see how the design team executed the adaptations; having studied their adaptive designs online, you can’t fully appreciate their focus on detail unless you have the product in your hand. Designing adaptive clothing, surprisingly, requires extreme technical knowledge and innovation to produce the intended results for both ease of dressing and style. 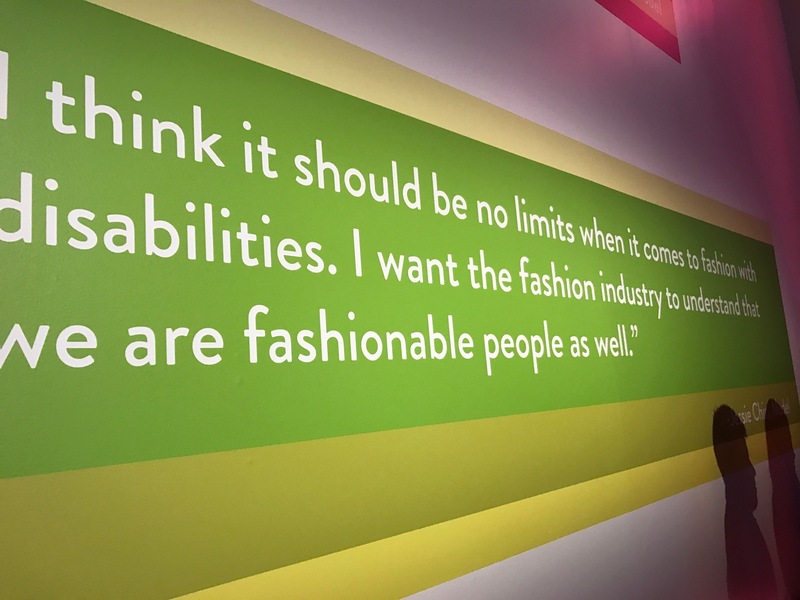 Smart and thoughtful designers like this are in great demand to fill the gap for one of the largest underserved minorities in the fashion industry…Did you know that nearly 1 in 5 people in the U. S. alone has a documented disability, about 57 million people? ​Around 1:30, we migrated to a parlor around the corner of the main entrance where we mingled with the other 23 models and their families. Models ages ranged from 5 to 50 years old, representing many of the beautiful body types in the world: Down’s syndrome, spinal cord injuries, amputees, Intellectual disabilities, and cerebral palsy. As I got to know them throughout the day, I realized each and every one of them was proud, fierce and confident about their own unique body. What a refreshing atmosphere to be able to share common views on the world with people with similar situations. Nobody complained about how they wish their situation was better. Rather, we shared passions to change laws, stereotypes and discussed much more on inclusion of those who are differently abled. One family with a severely impacted son expressed gratitude for their mayor, who personally drove them to this event because they didn’t have accessible transportation. It is these unspoken acts of kindness that we need more of in life. ​As the clock ticked toward 3:00 it was time for makeup and hair before the rehearsal. Organizers were getting a little antsy for rehearsal to begin. 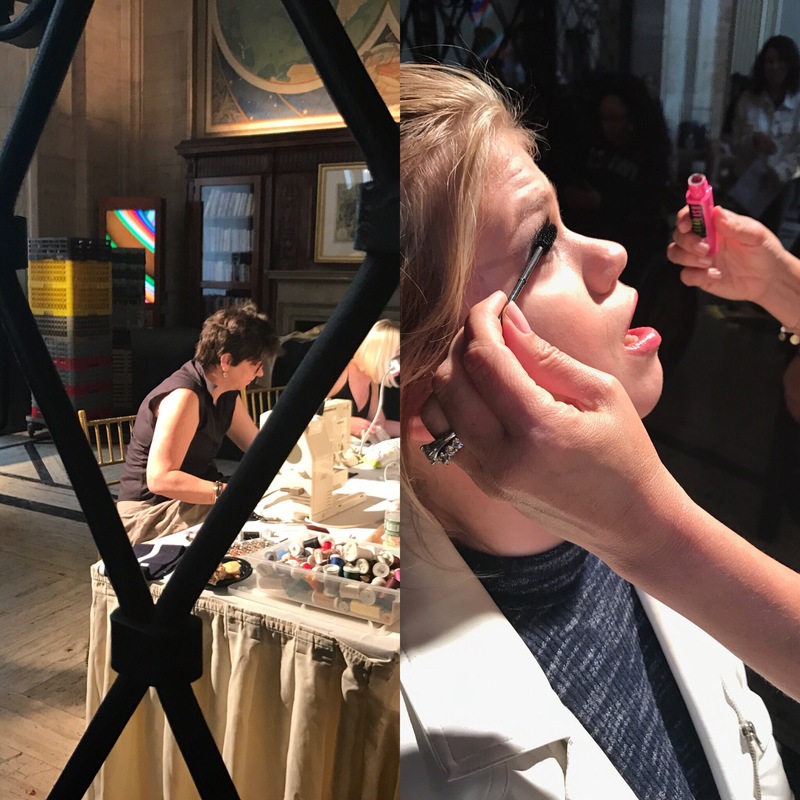 And it was getting hard to ignore the presence of video cameras capturing my every move, even while a professional makeup artist applied eyeliner. Before you knew it, my makeup was flawless and my hair dangled in thick curls. A quick look in the mirror to check to make sure I wasn’t dreaming and then I hurried off to rehearsal! Now the real chaos begins! 4:00 pm …It’s two hours until guests arrive and major issues arose with the fluidity of the show. The situation with only one ramp left no room for two wheelchairs to pass on and off the runway, so everything was changing. Staff frantically re-ordered the lineup over and over, so there would be “walkers” between the wheelchairs. By now I was getting used to “DELAINA!” being shouted and pointing for me to move here and move there! This went on at least for an hour. Mindy Scheier loved how my chair stood up and we decided rolling the runway with my own “standing Segway” would be a treat for the guests. The first time I rolled that runway in rehearsal, it got real–real fast! The lights shone on the cavernous room with 600 empty chairs…but soon that would change. 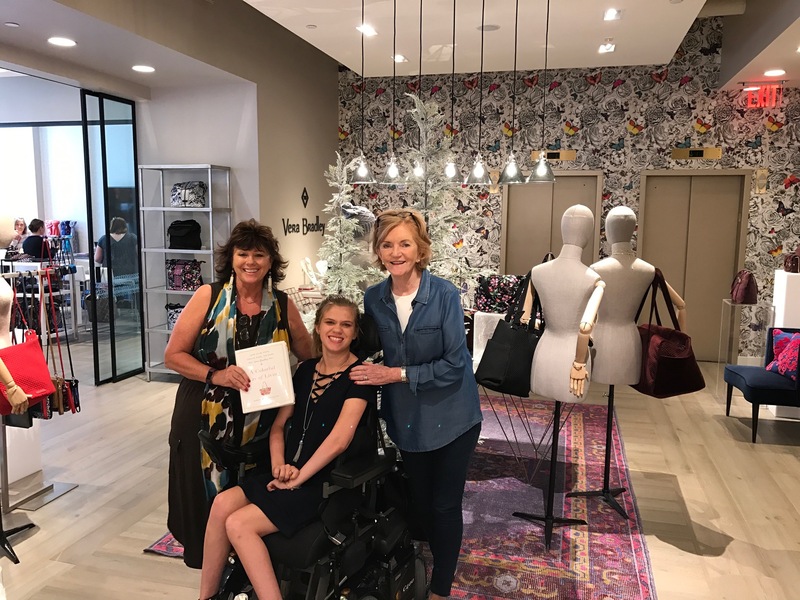 My dreams were coming true… to immerse myself into an untapped segment of adaptive fashion in the industry and inspire others that nothing is impossible if you live fearlessly! New York City and the RUNWAY!!!! 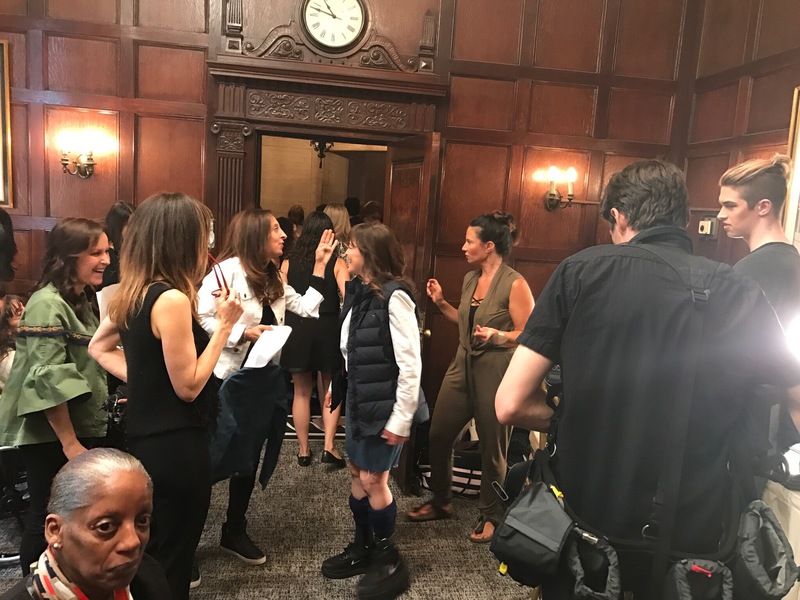 ​The clock ticked 15 past 5:00 and all of the models still needed to eat something plus change into our newly tailored outfits. We crowded in the back room slamming down pieces of New York pizza while taking turns in dressing rooms. Clothing flying, pizza blending in with the makeup, people ducking under hot hair irons, and wheelchairs bumper to bumper. Heck with this… I had my sister hold up a jacket and changed right there without noticing (until too late) a video guy filming another model while I happened to be in the background. Oh well…! Stylists touched up my hair and I escaped that crazy room as soon as I could. 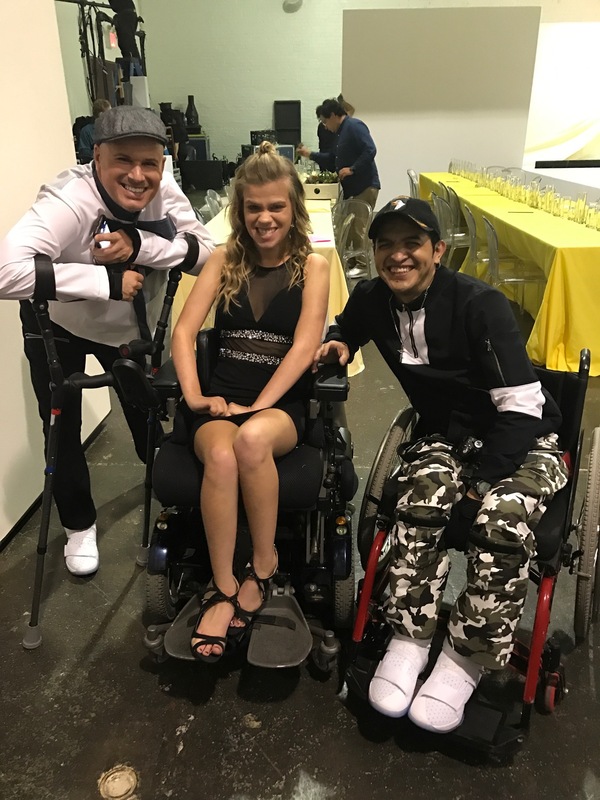 In the hallway, my sister and I ran into Tobie Hatfield, a guest honoree at the Gala, for his innovation of the Nike’s “FlyEase” adaptive shoe. I remember countless mornings when I was in elementary school, and the struggle to put on shoes over orthotics was oh-too-real. I’m fortunate I don’t have to wear them anymore but for the millions who do, I celebrate when companies like Nike commit to making life easier for ALL its customers. From the half hour we spoke with Tobie, it was rejuvenating to hear how genuine and passionate he was about this shoe and the purpose behind it. He literally walked around cradling the shoe like a baby. Also, I met Matthew, the guy who wrote the letter to Nike and the reason why the FlyEase exists today. He’s a senior at Florida Gulf Coast University, and remains very close with Tobie. 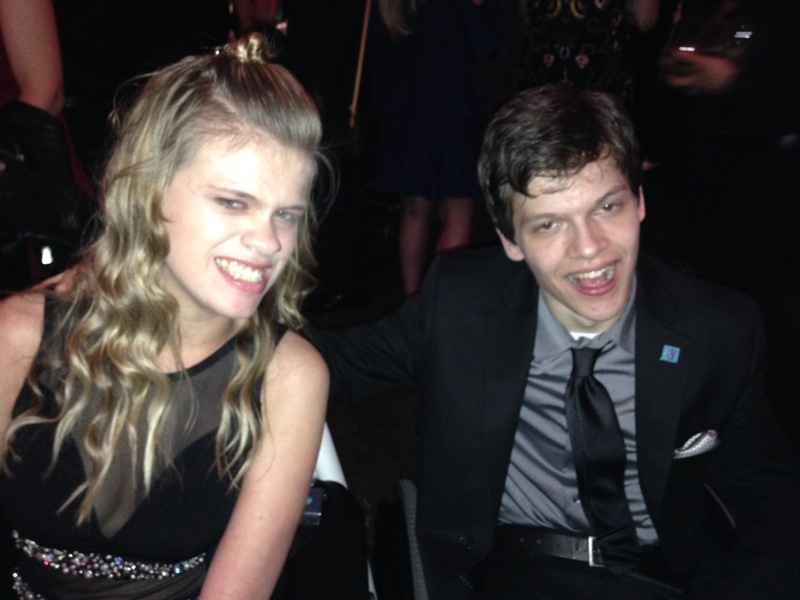 While listening to all these amazing people, I learned the world is ready for acceptance of the differently-abled, but it takes a nudge from young bold people like Mathew and all the models that evening to ignite the spark of inclusion. One of my fav models was Rebekah Marine, the “bionic model” who shares her bionic arm prosthetic with the world in a beautiful way. Anna was another of my peers whose personality overcame the loss of her lower limb, and later dazzled on the runway like a pro. ​6:30 p.m. on the dot! I could hear the guests clinking their cocktail glasses around the corner. Happy hour for some, maybe, but modeling is hard work…especially when we had to hold our position in line for 2 more hours. Two hours gives you precious time to observe people, and time for me to reflect on the gratitude I had for this experience. Finally, finally, the speeches had ceased, the awards awarded, and the runway was lit! Showtime! 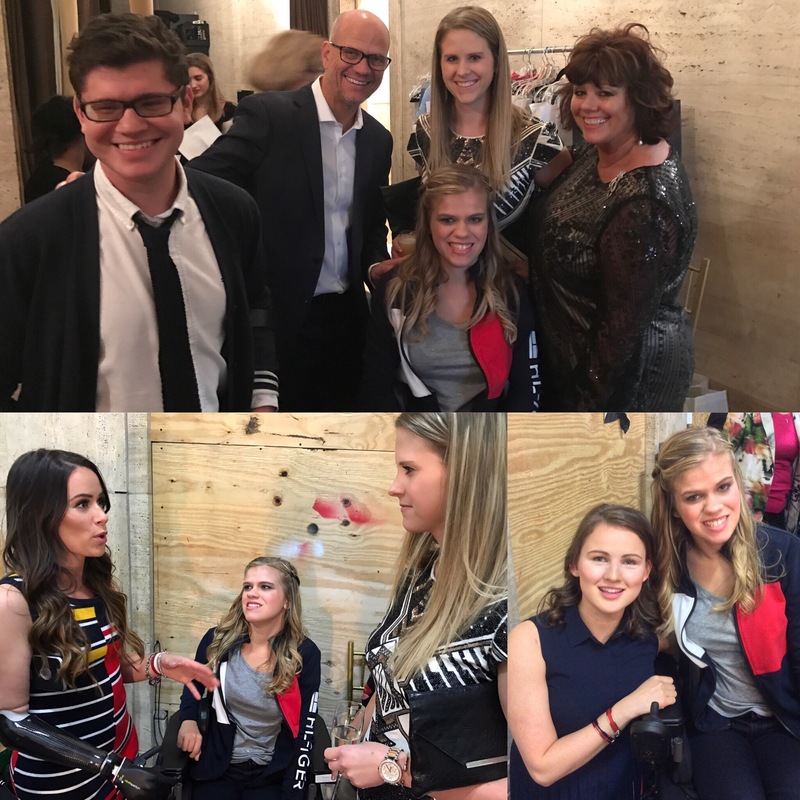 One by one, the models were greeted with encouraging cheers from many of New York’s fashion dignitaries, media, and trendsetters…all in the name of adaptive fashion! Once my #17 turn came and I faced the lights, there was Mindy giving me a reassuring thumbs up…deep breath, short prayer to stay ON the runway, and I was off. No sounds hit my ears, not even my Runway song; “24-karat Gold,” by Bruno Mars! Calmness overtook me as I vamped with turn and poses for the cameras, videos and applause. I WAS ON THE RUNWAY!! If you would have told me one or two years ago that I would have an opportunity to roll the runway in New York City, I definitely would not in a million years believe you. ​Over the past year, my life has changed a lot… going new places, meeting new people, and becoming a Brand Ambassador for the Runway of Dreams Dream Team. It’s the hard work and the FEARLESS INDEPENDENCE to stand up for yourself and others who can’t. It’s being open to life changing opportunities like this that you will remember forever. I’m eternally grateful for my family who goes the extra mile and continually encourages me to be the best person I can be. 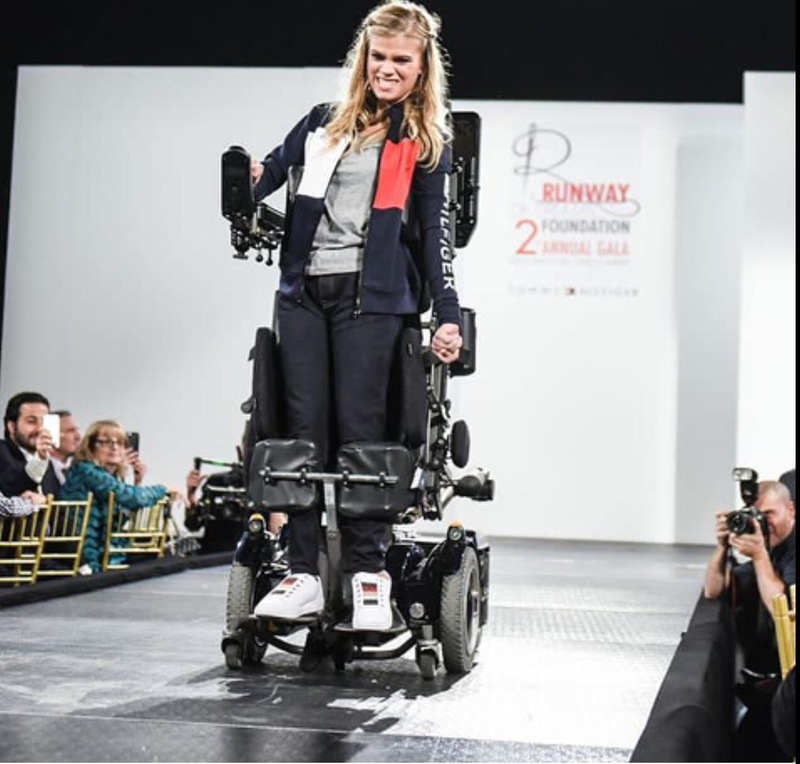 By rolling the runway, my hope is to show young women of all abilities that they can accomplish anything they set their mind to! After months of planning, The Trip of the Summer is finally here! 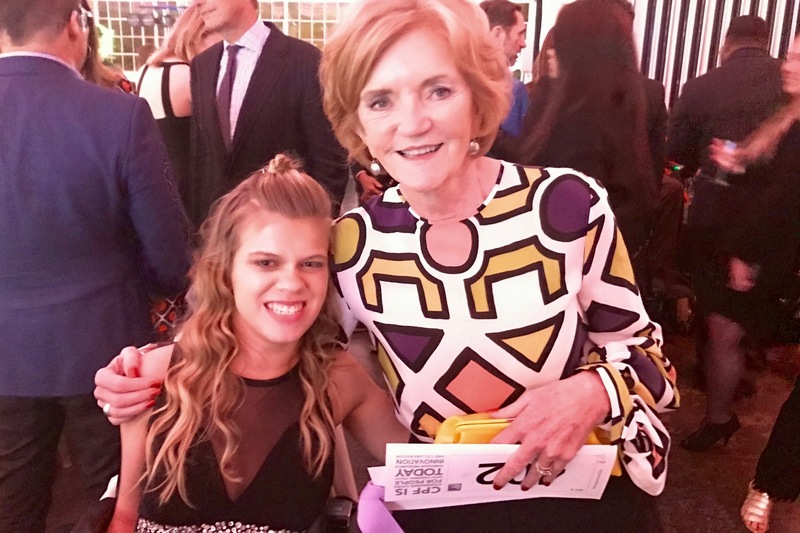 It was a mere 3 weeks ago, we boarded the same Jet Blue flight for LGA to attend the Design4Disability gala with the Vera Bradley family….a memorable week for sure. In about 24 hours, I will be rolling the runway in NYC at the gorgeous marbled neo- classical Cipriani on Broadway in Lower Manhattan!! If you know me well, then you know that I can’t go on another trip without passing up a day at the mall. A couple days ago, my mom and I went to help my sister find a dress for the gala; My sister and I have a lot in common but shopping isn’t one of them. She tried on many that fit her beautifully, and the final purchase was a gorgeous cocktail dress of gold, pewter and silver. While helping her look, I couldn’t help but wonder what I would be modeling from the new Tommy Hilfiger adaptive line?? 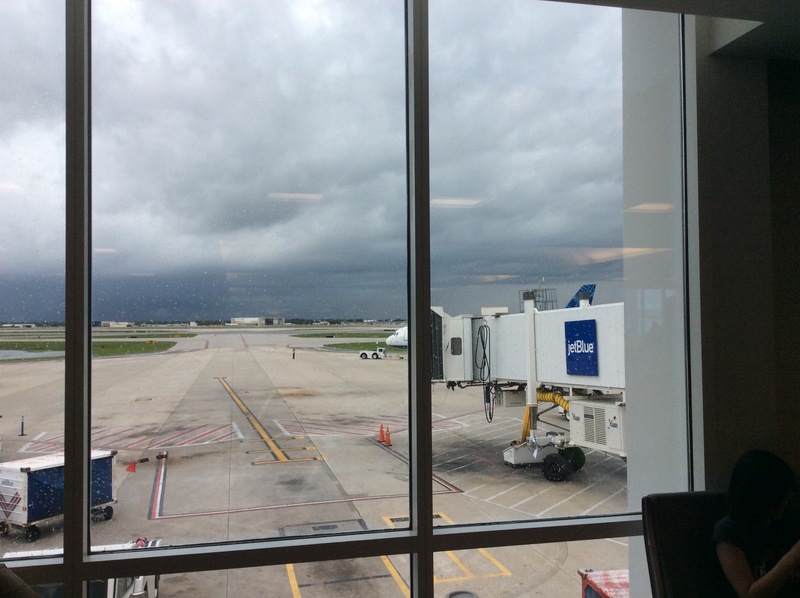 And now… we’re ready for take off in the clouds! ENews/Teen Fuse, a global online reporter of all things women and girls. last time that our paths would cross!